Israel's leaders often refer to their country being in a "tough neighbourhood" but recently there have been some extraordinary signs of friendliness with parts of the Arab world. 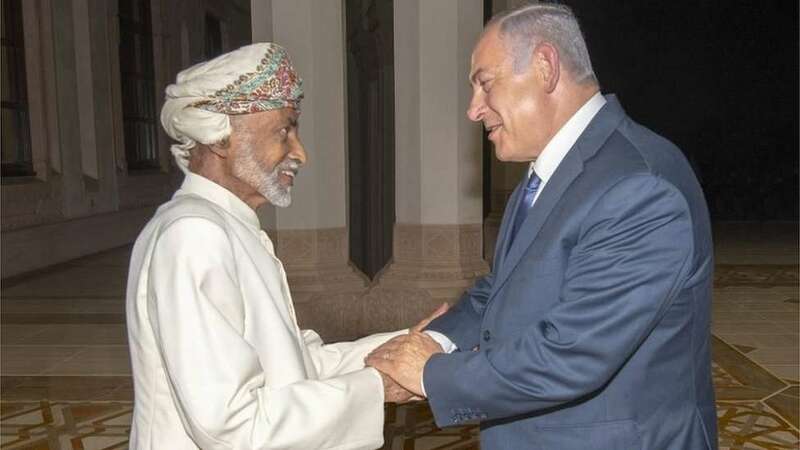 Late last month, the Israeli Prime Minister, Benjamin Netanyahu and his wife met the Sultan of Oman on a surprise, eight-hour visit - the first of its kind in over two decades. There was a lavish dinner, traditional Omani music and what Mr Netanyahu told his Cabinet were "very important talks", promising more trips would follow. Sure enough, by the time he was speaking, Israel's Sports and Culture Minister, Miri Regev, was at an international judo contest in Abu Dhabi, capital of the United Arab Emirates (UAE). She wept with joy when an Israeli athlete took a gold medal and the Israeli national anthem was played - something unprecedented on the Arabian Peninsula. Later, another Israeli official talked about "peace and security", at an event in the Arab emirate of Dubai. Now, the transportation minister is in the Omani capital, Muscat, proposing a railway between Israel and Arab countries. 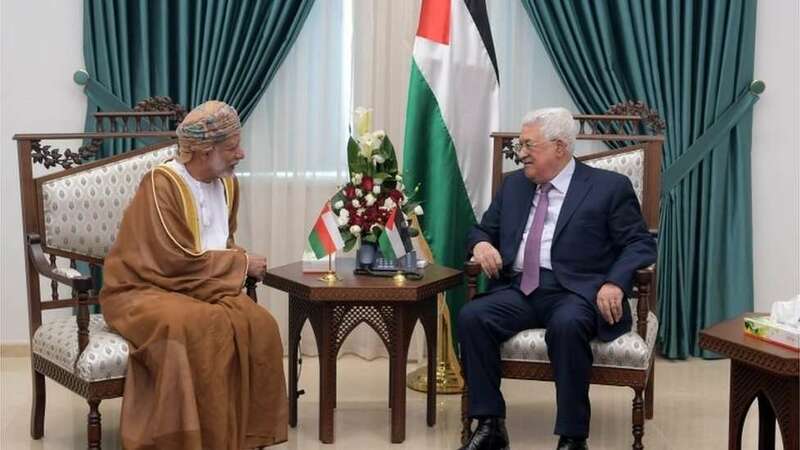 All this despite the fact that Israel has no official diplomatic relations with Oman or the UAE. Like much of the Arab world, they have historically shunned the state which was created in 1948, leading to the first in a series of Arab-Israeli wars. "These visits are extremely important because they're really melting the ice," says former Israeli diplomat, Dore Gold, who sees that "symbolism is the key element". "Gulf Arabs and Israeli officials have had meetings for years - they know each other - but there was a reluctance to take this another step," he goes on. "Now that is changing." The main reason is a shared concern over Iran. Israel, like many Gulf Arab countries, worries about Iran's ambitions and sees it as a destabilising force in the Middle East. 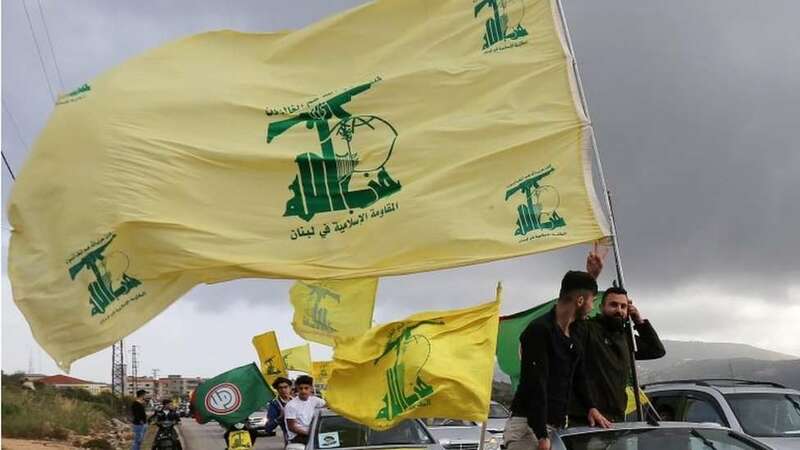 Tehran has been directly involved in conflicts in Syria and Iraq, and supports rebels fighting in Yemen and militant groups such as Hezbollah in Lebanon and Palestinian Islamic Jihad. The Trump administration - which also seeks to contain Iran - strongly supports closer ties between US allies in the Gulf and Israel. However, Palestinians are alarmed by the new alliances, developing as President Trump promises to present his "Deal of the Century" plan to end their conflict with Israel. "This kind of attempt to normalise Israel within the region, without Israel normalising its relationship with Palestine and remaining as an occupying power, is counterproductive and dangerous," says Hanan Ashrawi, a senior Palestine Liberation Organisation (PLO) official. She suggests the latest developments threaten the legitimacy of the Arab Peace Initiative - which the 22 members of the Arab League signed up to in 2002. It offers Israel normal diplomatic relations with Arab states only in exchange for its full withdrawal from Arab lands it captured and occupied in the 1967 Middle East War. Currently, Egypt and Jordan are the only Arab countries to recognise Israel. The Israel-Palestinian peace process has long been stalled and last year, there was a further set-back. The Palestinians - who want East Jerusalem as the capital of their future state - rejected President Trump's recognition of Jerusalem as Israel's capital. They cut off ties with Washington, saying it was not an honest peace broker. Still, the US Middle East envoy, Jason Greenblatt, is continuing his shuttle diplomacy around the wider region - and he was enthusiastic about the Israeli prime minister's Oman trip. "This is a helpful step for our peace efforts & essential to create an atmosphere of stability, security & prosperity between Israelis, Palestinians & their neighbours," he posted on Twitter. 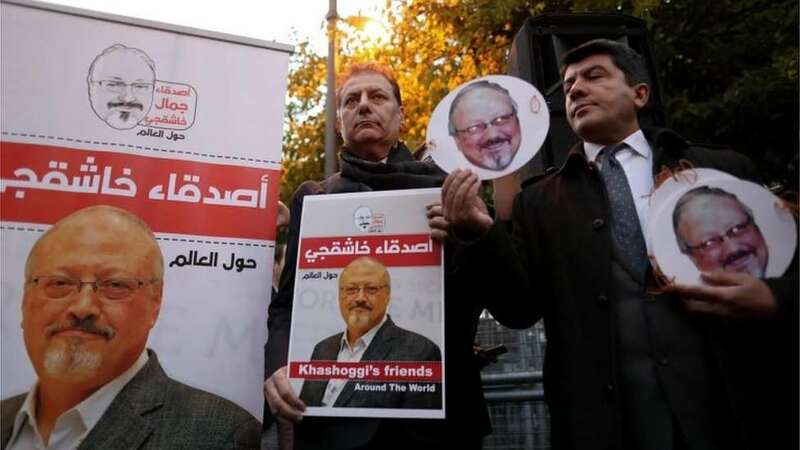 Analysts suggest the pivotal role ascribed to Saudi Arabia in reviving the peace process has been thrown into doubt by the shocking murder in the Saudi consulate in Istanbul of Saudi journalist, Jamal Khashoggi. However, in another remarkable move, comments by Mr Netanyahu on Friday seemed to show tacit support for the powerful Saudi Crown Prince Mohammed Bin Salman, who has been accused of having a role in Khashoggi's death - something the kingdom has denied. He said Mr Khashoggi's killing was "horrendous" but should not be allowed to lead to upheaval in Saudi Arabia "because the larger problem is Iran." Bahrain welcomed this "clear position" from Israel, just as it had previously supported Oman receiving the Israeli leader. All these signs of a regional shift are popular with ordinary Israelis and even Mr Netanyahu's political rivals have praised his advances in the Gulf. However, the Arab public - for whom the Palestinian issue remains very emotional - will be far harder to win over without a peace agreement. So for now, Arab states are unlikely to fully embrace Israel. Instead we should expect more previously unthinkable invitations, gestures of recognition and warm handshakes.